It's hard not to be excited at the moment. The New England Patriots are on a seven game win streak, after pummeling the previously 11-1 Houston Texans 42-14. But the dust has settled. The Patriots are seen as powerful again. People are scared of the Patriots. 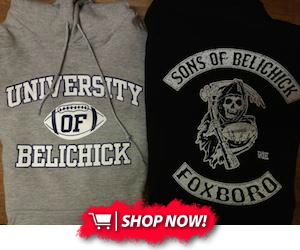 But let me channel my inner Bill Belichick here. We did a lot of good things out there. But let's not get ahead of ourselves. We're not Super Bowl champions. We're not the number one seed in the AFC. Let's calm down for a second, and look at what happened in this game. 1 - What the hell happened in the second quarter? Three drives. Three touchdowns. Awesome. Now let's go finish off the job like we did on Thanksgiving. That didn't happen. The offense stalled, and rarely picked up first downs. In the play-offs, this cannot be afforded. Throughout this season, our problem has been killing off games, and we've nearly let teams in, and sometimes we have let teams in. We do this in the playoffs, we're done. 2 - Tom Brady will be sore this morning Brady got hit. A lot. 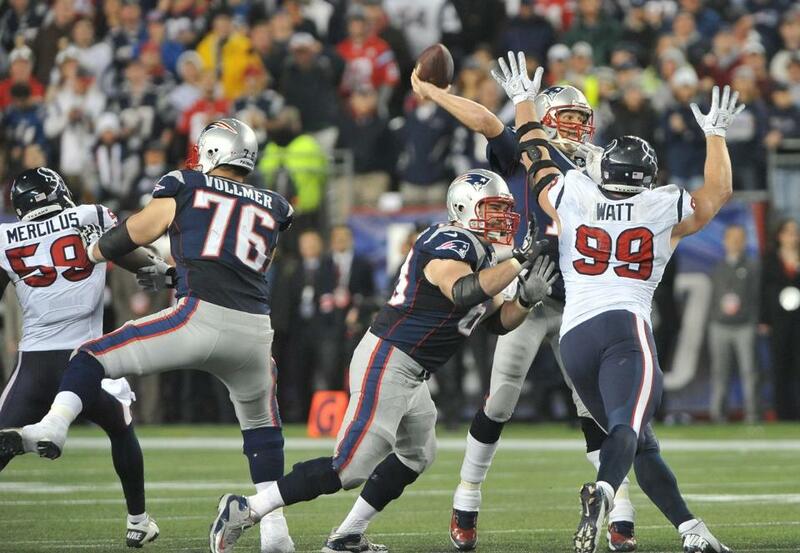 J.J. Watt might not have a sack next to his name, but he was getting to Brady nearly every other play. 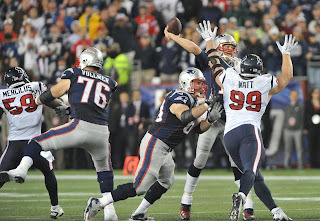 The Patriots made sure the ball was out of Brady's hands by the time Watt reached him. But one of those hits could turn into a concussion or an injury. With Aldon Smith, Jason Babin and Cameron Wake coming in the last three games, Brady needs to be protected better, or else it'll be Ryan Mallett time. 3 - The run game got stuffed - again For the second week in a row, New England couldn't get the run game going. Once again, Stevan Ridley only got going towards the end of the game. He put up 72 yards and 1 touchdown, but most of these came on the last few drives. Once again, if we don't want Brady, Wes Welker and Aaron Hernandez getting hurt, we need to keep balanced on offense. It will also make sure defenses play the run, opening things up more for Brady. OK, so it's hard to be too critical of a team that just blasted the team with the best record in the NFL. But as I said, I'm doing my best Bill Belichick impression. That game has gone. We did a good job, but we can do a better job, and we'll need to do one if we want the first seed. And if it all comes together in the playoffs, that would be Super.